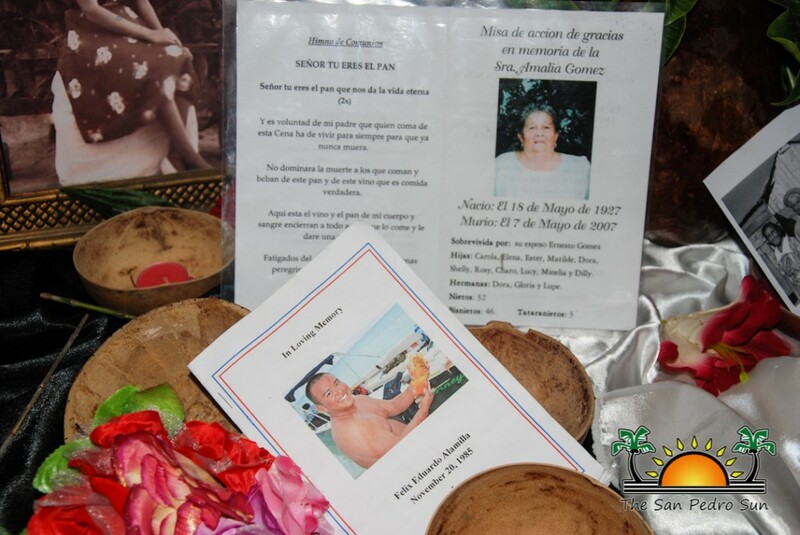 On Saturday November 1st, tradition once more came to life in San Pedro Town as residents celebrated their dearly departed in the Dia de los Finados celebration. 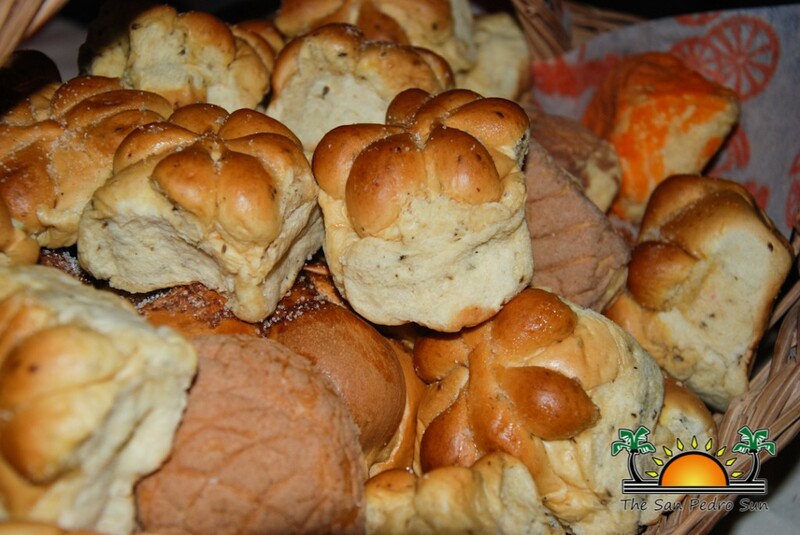 Also known as Dia del los Muertos (Day of the Dead), the holiday is traditionally celebrated in the Mestizo, Maya and Garifuna cultures and is observed over two days, November 1st and 2nd. 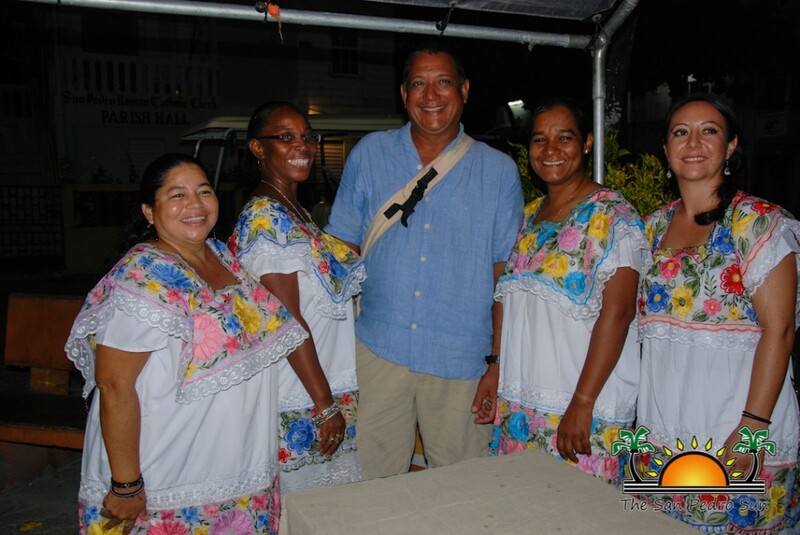 This year marked the third year that the San Pedro Cultural Committee has revived the tradition on Ambergris Caye. 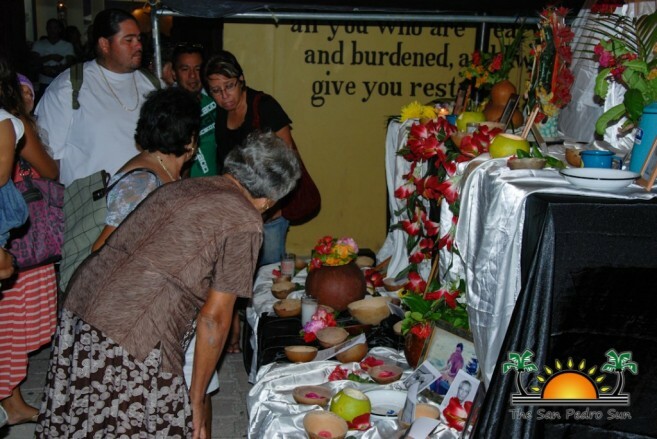 The festivities were observed at the Friendship Park, located next to the Roman Catholic Church, where the grand candle-lit altar showcased pictures of loved ones that have passed on. 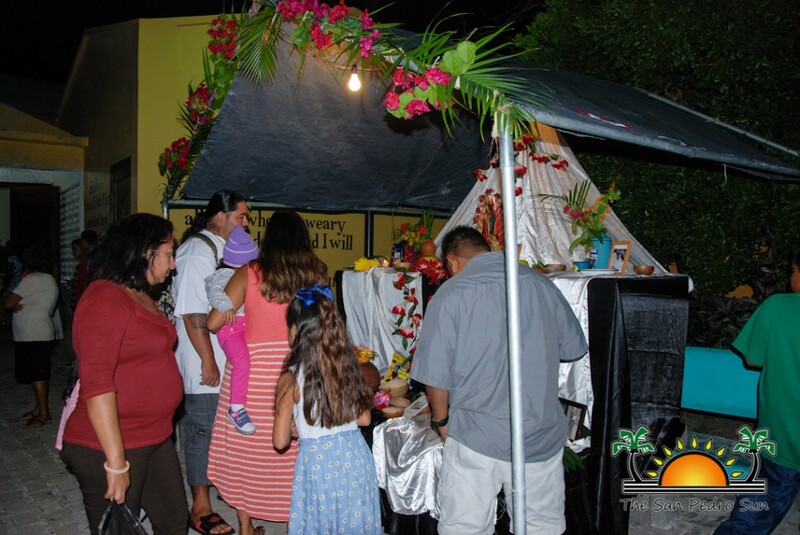 Draped in white cloths, decorated with hibiscus, rosaries, and a statue of the Holy Virgin Mary, the altar served as a beautiful memorial of the souls believed to have gathered with their loved ones on the sacred day. 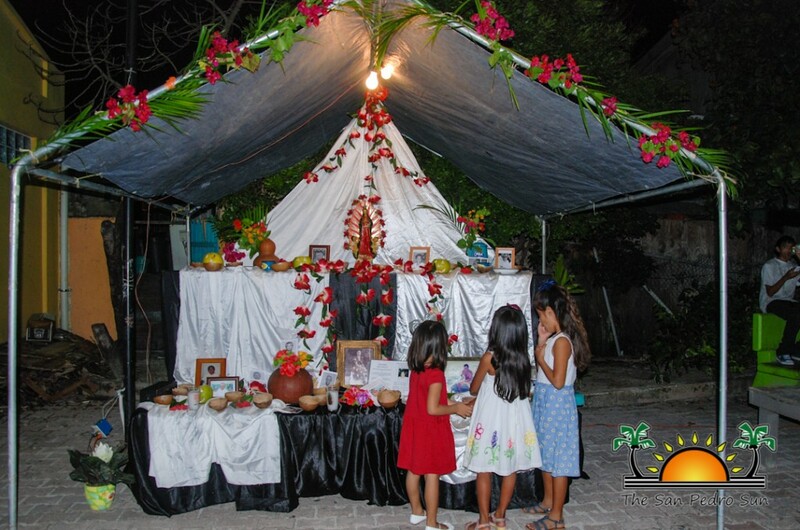 Families gathered before the altar and made offerings to the souls and shared with each other, stories and fun memories of their departed loved ones. 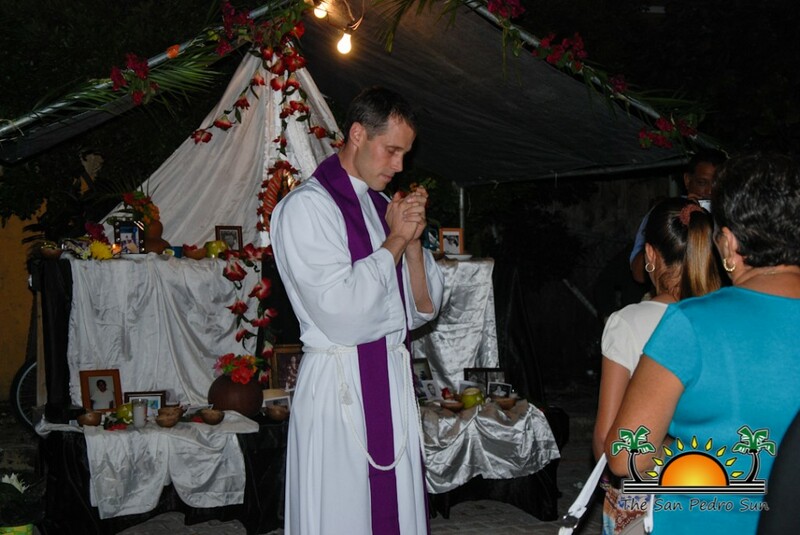 After addressing the gathering, the priest also blessed the altar and explained the significance of the day to those in attendance. Chairman of the Cultural Committee, Councilor Mito Paz, also gave a brief message on the importance of the day as it pertains to the community of San Pedro. 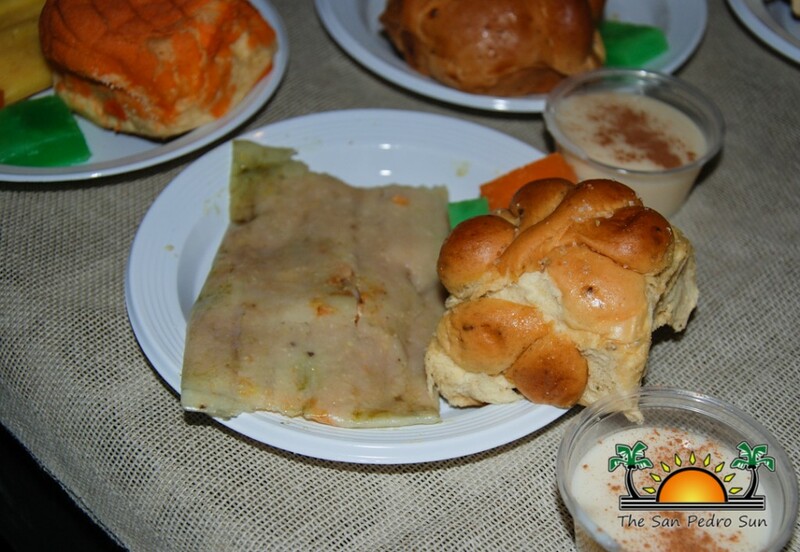 Following the brief messages, a traditional plate of tamales, tamalitos, pan de muerto, crema de coco, and maja blanca was blessed and enjoyed by the many that gathered to dine with their loved ones. 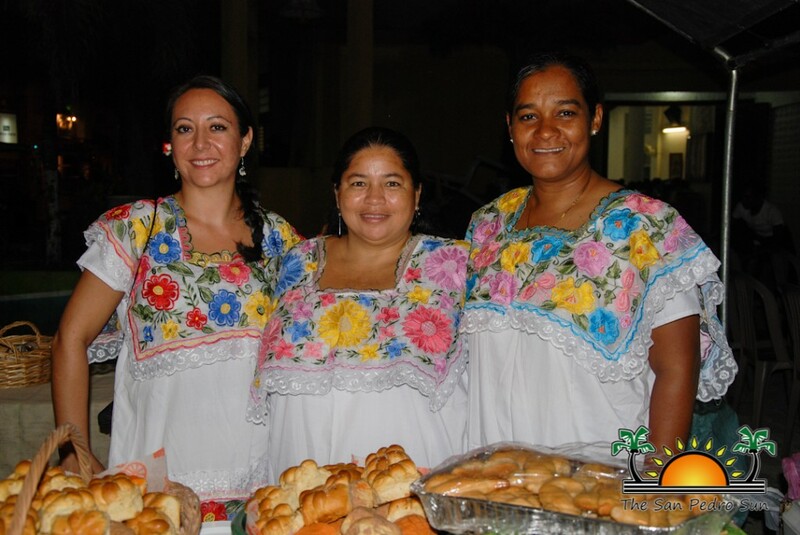 With Tropic Air now offering direct flights to Merida Mexico four days a week, those who want to experience these festivities in grand fashion can easily travel to the historic capital city of Yucatan. In 2003 the indigenous Dia de los Muertos festivities were added to the UNESCO (United Nations Educational, Scientific and Cultural Organization) list of Intangible Cultural Heritage of Humanity, and once you have experienced the three days of this celebration it is easy to understand its cultural significance. 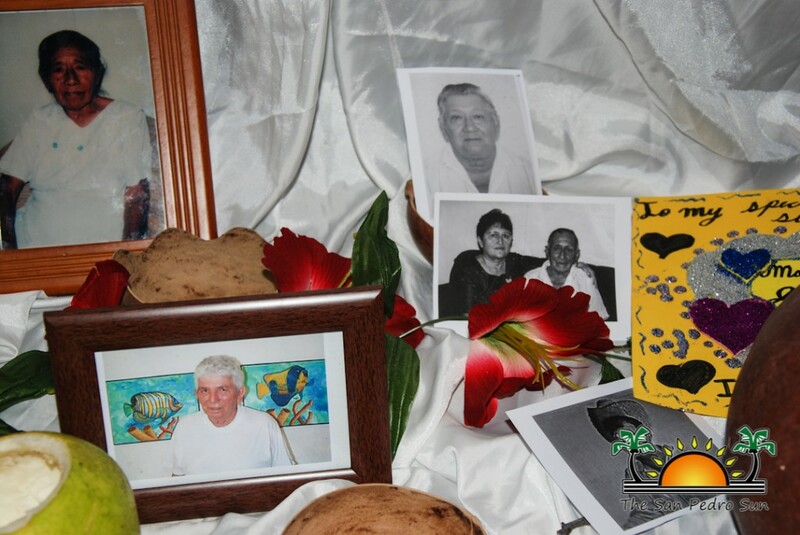 During the day of October 31st many of the centrally located parks hosted dozens of altar tables erected to remember loved ones who had passed. 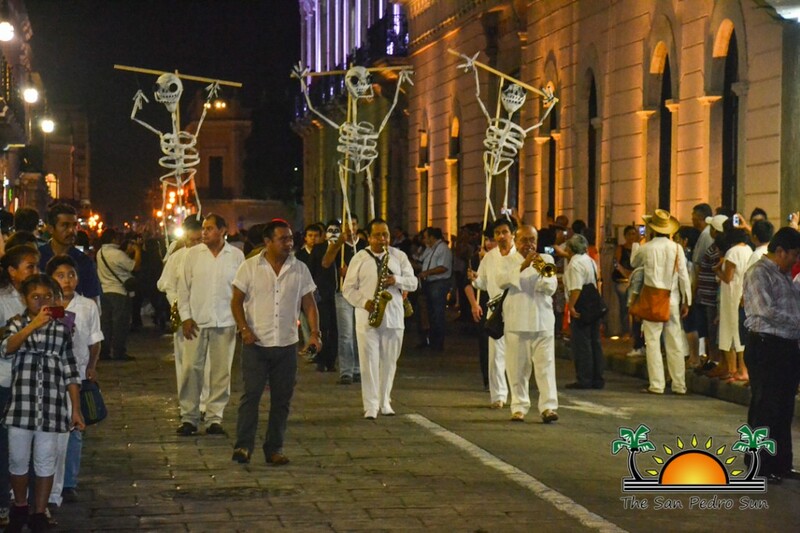 That evening El Paseo de Las Ánimas (Passage of the Souls) procession began at the Cementerio General, passed through the central part of the city and ended at the Arches of San Juan. 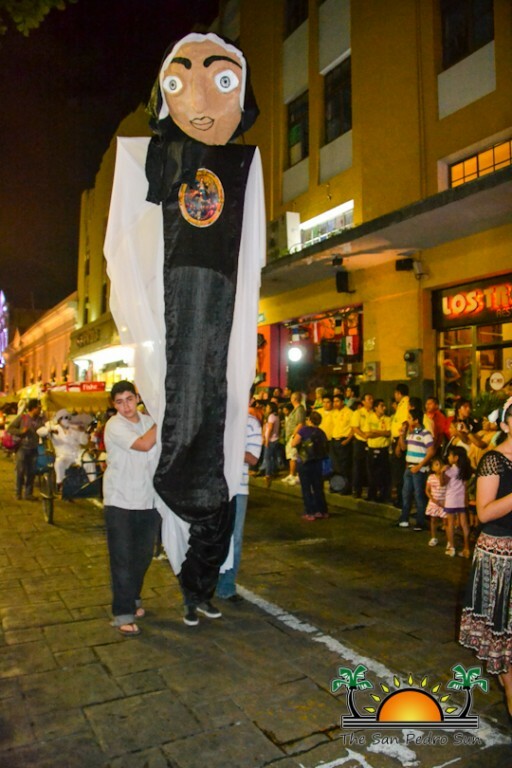 Adorned in classic Mestizo attire to wild costumes and skeletal face paintings, hundreds of people made up the procession. 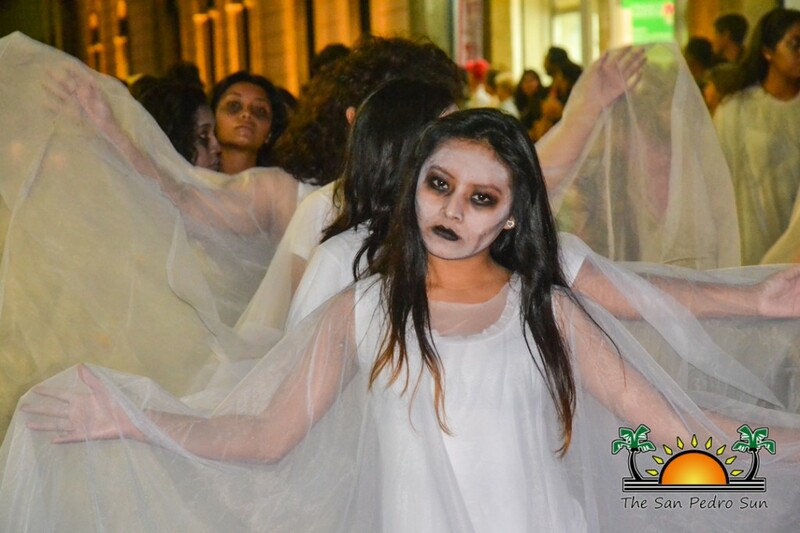 Colourful groups varied from solemn mourners carrying candles, to white angelic and black demonic spirits, to energetic musicians, horse drawn carriages and entertaining whimsy. 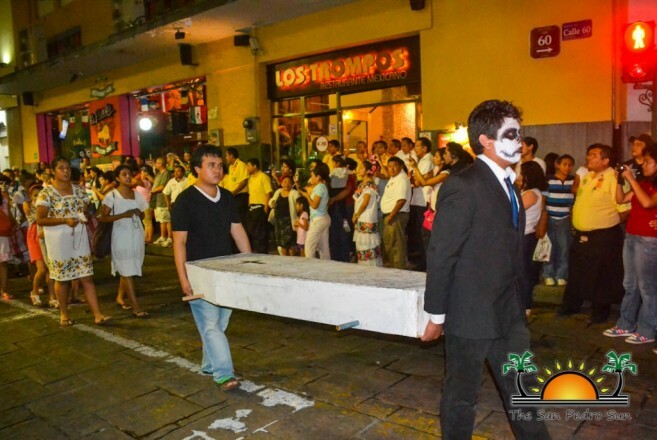 From spiritual, to humorous and even scary, the procession was truly a beautiful tribute to the dead. 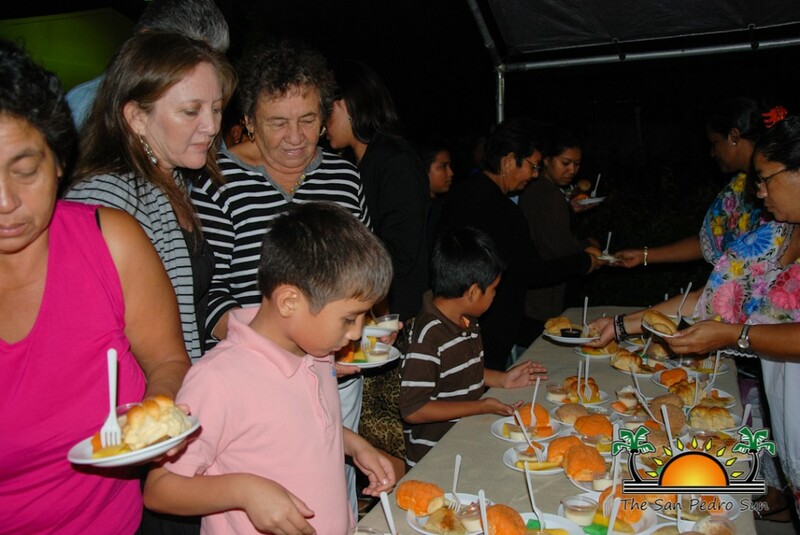 Throughout the weekend the local parks were alive with Dia de los Muertos festivities. 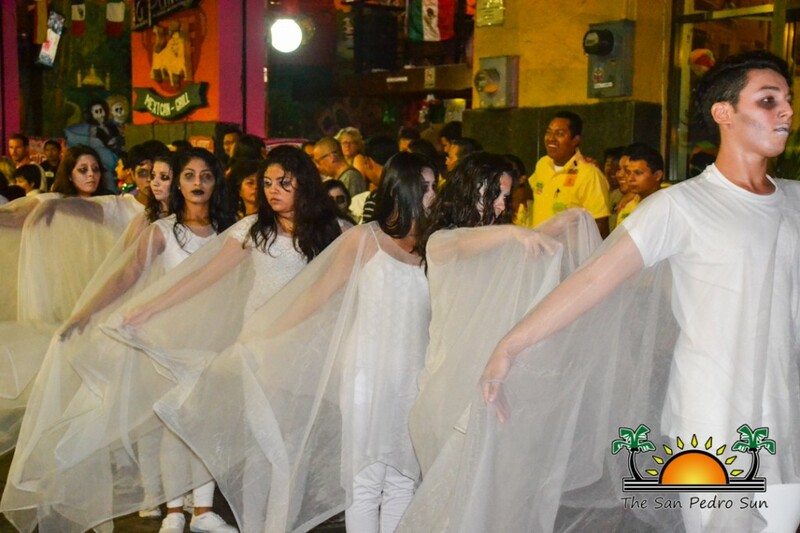 Music, entertainment, dancers and delicious cultural food were in abundance and hundreds of Mexicans and tourists came out to enjoy the weekend celebration.